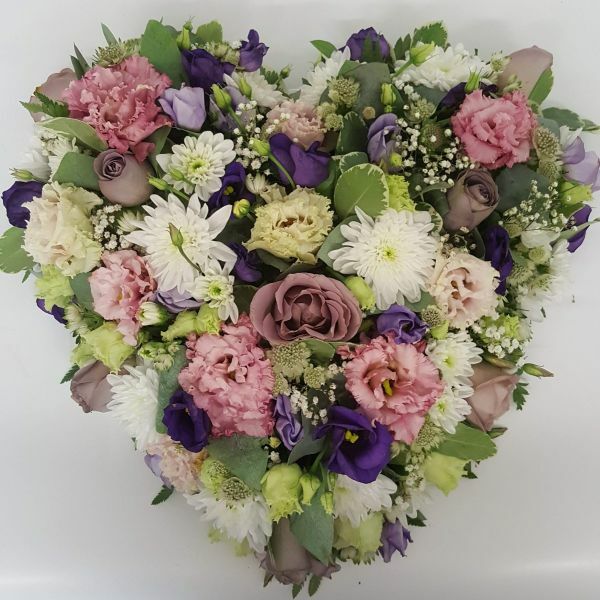 Antique toned roses and double eustoma fill this spendid heart. Gypsophila and astrantia compliment the foliage based heart. Approx size 18 inches / 45 cm finished display.